NOCN qualifications and units motivate and engage trainees and clearly support their progression to employment and apprenticeship destinations. Upon leaving school, Amy faced a dilemma commonly encountered by many young people on leaving school; she had a distinct lack of demonstrable experience. Although Amy did have a fairly clear idea of the career path she wished to pursue, she had no prior experience of working within an office environment. 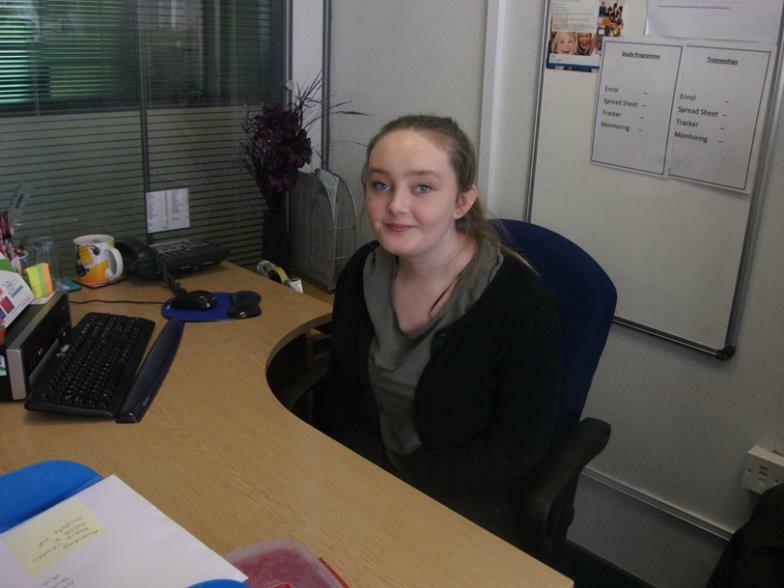 When a Traineeship opportunity was presented to her, Amy grasped it with both hands! She commenced her training with Stockton-on-Tees Borough Council Learning and Skills Service, with a view to developing the skills necessary for progression to an apprenticeship with the service. Amy undertook a placement within the General Administration Department of the Council. Here she would recieve a supportive grounding in a busy office environment and have the opportunity to develop a broad range of business administration skills. The model for Amy’s full time traineeship was four days placement-based training plus one day spent at the training centre, where she would be able to further develop her employability skills, English and Maths. Amy quickly fitted into the close-knit team and was soon displaying a very mature attitude and high levels of commitment. She proved to be very adaptable and keen to learn new skills. Amy immediately made a positive impact and she quickly impressed her supervisor, Tonya. Amy successfully completed her Traineeship and in spite of facing stiff competition for the role, was offered an Intermediate Apprenticeship within the department. During her Traineeship, Amy achieved a NOCN Level 1 Award in Skills for Employment, Training and Personal development and made great progress towards achieving Functional English as well as ICT Level 2.